Little progress has been made since my last update, consequence of tight working schedule and better weather and longer daylight resulting in my spare time being used on my mountain bike. But fear not, the builds are progressing nicely. Much has been said about the colours, these TIEs should be painted in. 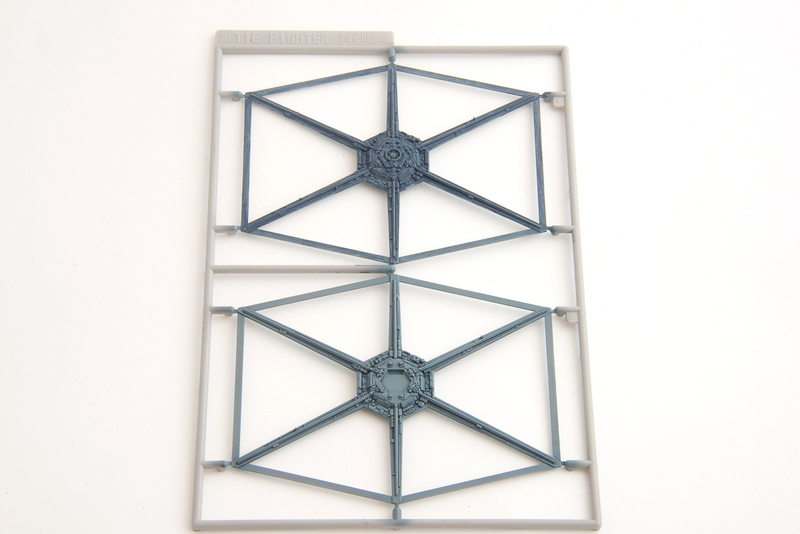 While the general consensus is that Air Superiority Blue is THE correct colour, which was used on studio models, I find it way too blue on these 1:72 models and by comparing it to the shots from the movie. 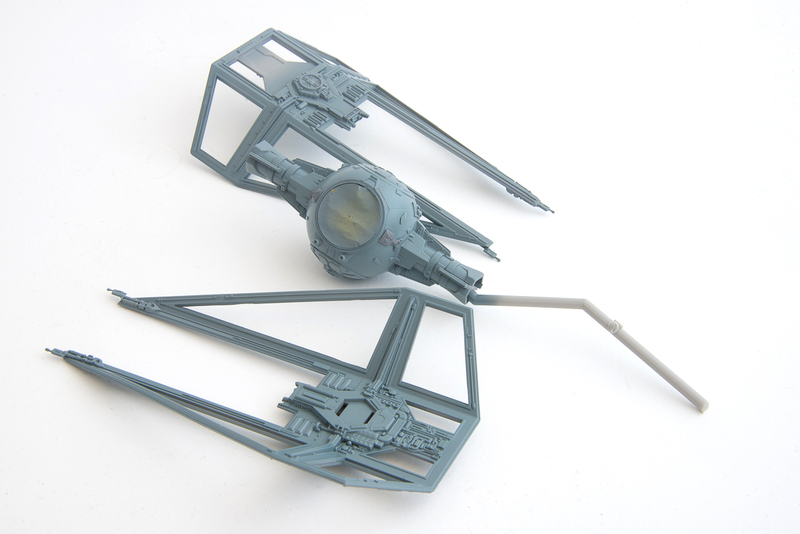 I have used ModelMaster 1721 (FS35237) Medium Grey, which is basically very blueish grey and really liked the result. 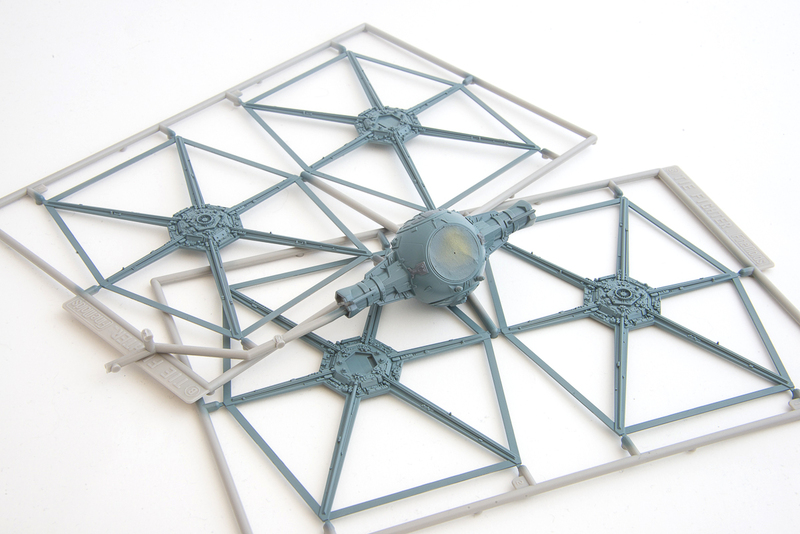 I find it interesting, that FineMolds used different approach with solar panel tiles with each of the kits. As you can see above, solar panels are moulded into the “wing” and one has to mask them before painting them. 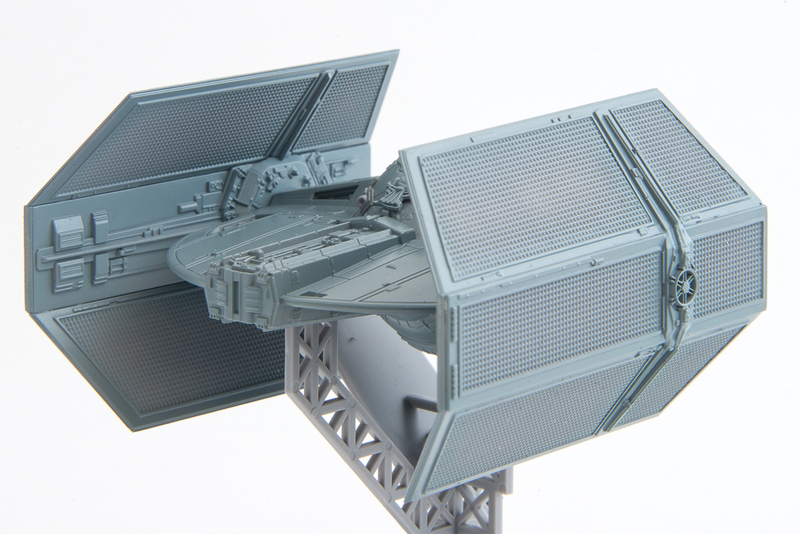 TIE Fighter has solar panels moulded in one piece and they get sandwiched between the framing. 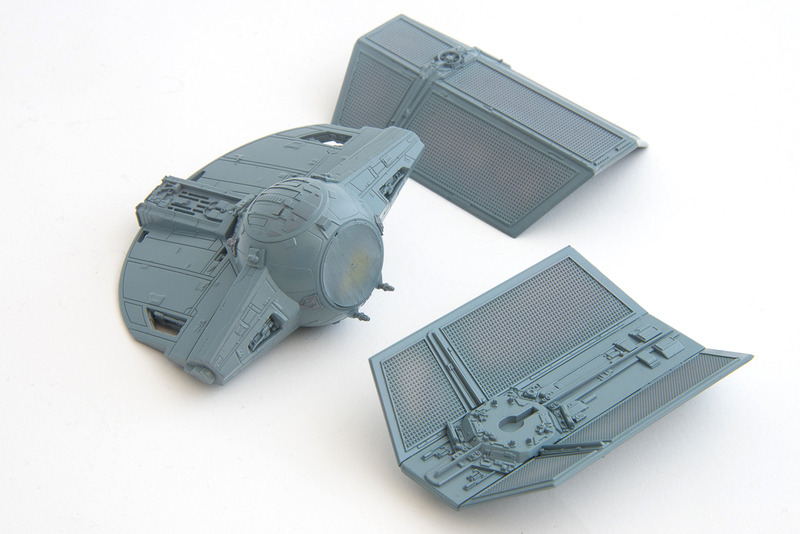 TIE Interceptor has the most clever and modeller friendly solution – solar panels are moulded separately and when finished with painting, they can just be inserted segment by segment into the framing. Since TIE fighters don’t have shields (TIE Advanced being exception here), if they get shot, they usually get killed. That means they are mostly clean and not as scruffy looking as Rebel Starfighters. I’ve decided I will not weather them. However, a dark grey oil paint wash (mix of Winsor&Newton’s Payne’s Grey and Titanium White) brings out all those lovely little details and accentuate the shadows. Nice TIE review. 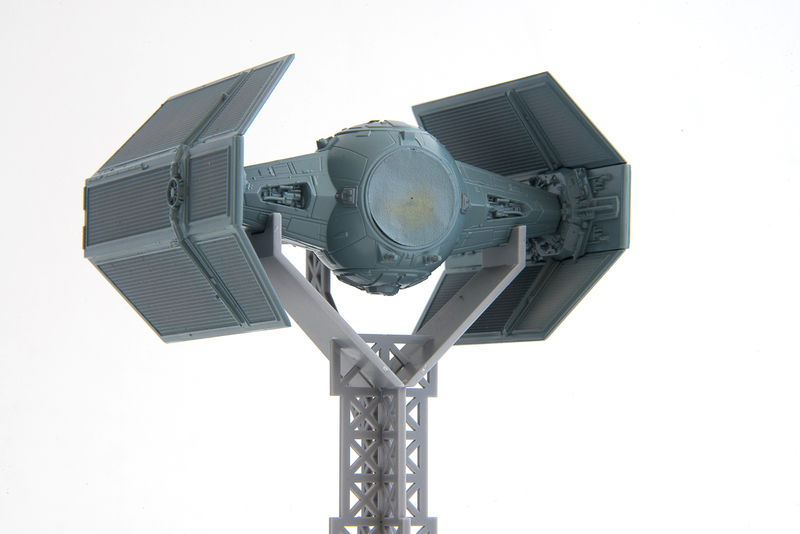 I have just completed the same FM TIE fighter and TIE interceptor. Embarking on the TIE advanced shortly and your insights shall be incorporated.